A few users have reported on the Google Forums that their Chromecast is not disconnecting after you are done using it or want to switch to another source. I have experience this when I am using Netflix and when I am done, I want to switch to another source and no longer want the Chromecast connected to Netflix. However, nothing I do to disconnect works! I try clicking the Cast icon to unlink it but that didn’t work. 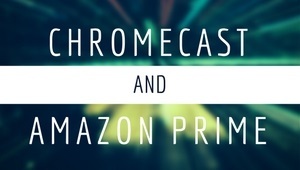 Here are some suggestions on how to force your Chromecast to disconnect after casting from an app or screen. Force stop the app – After you are done casting to your Chromecast from the app you are using and if Chromecast doesn’t disconnect, force stop the app. For Android, you can do this by going to the home screen, navigate to the app icon you were using the Chromecast, then hold on to the app to go to ‘info’. From there, you can click ‘stop application’. For Apple iOS, you can double click your home button and swipe the app to force quit it. 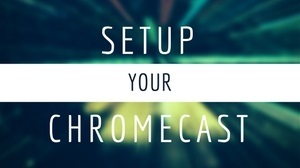 Disconnect the device from your Google Cast app – Another way to force close your Chromecast is to disconnect the device using your Google Cast app. Force reboot the device from your Google Cast app – If it still doesn’t disconnect, you can force a reboot remotely from your Google Cast app. Power cycle your Chromecast – If there is no response when you try to remotely reboot your Chromecast, go and physically remove the usb power source from your Chromecast. When you do this, make sure you leave the power cable off for at least 30 seconds to make sure there is no residual memory stored in the RAM. If this issue still persists, I would recommend you do two things. First, is to perform a factory reset. After you reboot your Chromecast, do not connect to any apps or cast any content. Simply, go to your Google Cast app and connect to your device. Next, go to settings and perform a factory reset to default settings. Once you do this, just perform setup again. The 2nd thing to do is to report your issue to the Google Cast Help Forum. You can report your issue and someone from Google will ask you some questions. It is monitored pretty regularly and the response from other users are quite helpful. This entry was posted in Setup, Troubleshoot and tagged disconnect, error, troubleshoot on October 11, 2016 by CC Administrator.